You’ve decided to be a Music major, but you need to find a job to help with tuition. Your friends are likely working at restaurants or retail stores to help pay their hefty college bills, but as a Music major, you have a much better option. Did you know instead of getting paid minimum wage bussing tables, you could make $40+ an hour before graduating by teaching what you love? Don’t take that job at Starbucks before you look into becoming a private music teacher. Related: Search for music scholarships on CollegeXpress.com! Teaching music isn’t just about making a few bucks (although that’s very helpful). It’s also about helping others and personal improvement. This may sound crazy, but I learned more about my instrument from teaching than I feel like I learned in my actual music classes. As a teacher, you have to explain complex concepts in a way that a child would understand. As I taught, I began to understand these concepts better myself. While I was in school, I noticed that my playing and practicing transformed. I was a better musician because of it. Some people like to be waiters and waitresses, but I personally get a lot more job satisfaction by seeing young students progress and become better musicians. While I was working on my major in Music, I was teaching quite a bit. Now, almost 10 years later, some of the students I started teaching while in school are getting ready to major in Music. Being able to see a student through from beginner all the way to an advanced level is extremely rewarding. Being a Music major is not easy. You have to practice a lot in addition to having more classes than other majors, and you have homework just like everyone else. It’s not easy to hold down part-time job sometimes. Working 20 hours a week will make you miss out on a lot of practice time. This is where teaching music comes in. You can take on just one or two students if that’s all you can handle, and you can fit them in between your classes pretty easily. Want to work only on the weekends? It’s usually no problem to get a lot of students back to back from morning to afternoon on Saturdays and Sundays. Parents are willing to pay a lot for private music lessons, so don’t be afraid to charge a decent amount. The prices differ based on location, but it’s not unusual to make $40 an hour or more for private lessons, especially if you’re driving to the student’s home. Don’t feel bad for charging that much. Being a music teacher, even at the student level, is an extremely skilled job. You worked your entire life to be the kind of musician that you are today, and you should get paid for your skill. You may think, “If I can get paid so much, why am I going to school at all?” It’s not always that easy. Most of your students are going to be in school during the day. This really limits the total amount of hours you can teach a week. There are plenty of private teachers who only teach music, but you need to constantly be looking for your own students, and it takes a lot of business knowledge to make it your only source of income. As a college student, though, there is no better part-time job. Now that you’re hyped up to start, let’s look into how you can actually find students, because you won’t make a dime until you do. Perhaps the easiest way to get started is to go to your local music stores and apply to teach. Depending on your instrument, you could be in high demand. If it’s a store close to your school, the time saved from not traveling to the student can really add up. The store will take a commission off of each lesson, so you may not get paid quite as much as if you found students yourself, but it’s a great way to get started quickly. There are many websites out there that let you build a teaching profile. These sites will then advertise it to students looking for teachers. These types of websites will also take a commission off of each lesson, but the difference between a music store and online matching sites is often you’re able to set your own price through a website. Sometimes sites like these can get a bad rap because a lot of teachers feel like they don’t get enough students from them. The key is you need to make a great profile. Fill it up with pictures, videos, reviews, and tons of other information about you. Realize that students often have to pay for lessons online without ever meeting the teacher before. It’s hard to convince someone to do that if you only have two sentences in your profile. Start with your family and friends. Does anyone you know want lessons? If not, do they know anyone who does? Create business cards and hand them out to everybody. Create a website and help it appear in local search results by submitting it to Google My Business. Talk to the local public school’s band director and let him know you teach. Leave him some business cards and then ask for referrals. When you do get students, don’t feel bad to ask if they know of anyone else who would be interested. Word of mouth is the only advertising method that a lot of music teachers use. Also, use Craigslist! A lot of my first students came from a Craigslist ad. If your first ad doesn’t attract any students, keep tweaking the words in the ad. Craigslist is a great source of students, and it could be that your ad is just not convincing enough. Post regularly and students will find you. Before you start teaching your first student, you should already have some rather firm policies for how cancellations and make-up lessons are going to be handled. If you don’t have these policies in place, you’ll find out quickly that even though the pay is better, all of the cancellations will cut your hours down dramatically. Always take payment in advance of your lessons. You can bill in many different ways, but never bill for lessons after you give them. Make sure you put it in writing that you take payment a month or more in advance. And never change this advanced payment policy for anything. If you don’t have the payment for a lesson in your hand before the lesson starts, you’re not teaching. Let the parents or the student know up front that this will never change. Why is this so important? There will be plenty of times when a parent will say, “Ah, I forgot my checkbook—can I bring it to you next week?” It may seem innocent enough until eight weeks go by and you still haven’t received payment. Then one day your student goes on vacation and you never hear from them again. You aren’t running a charity. It can hurt your ability to pay your tuition, so don’t be soft with this. Your time is important, right? You couldn’t take on other students or take on more classes because you reserved a time slot for a student. If they are constantly canceling their lessons, you have a big hole in your schedule. So it’s usually best practice to bill for lessons even if they weren’t given. Let the student know that they are reserving your time slot. Whether they show up to the lesson or not doesn’t change the fact that you need to get paid for your time. This can be hard to enforce, but as long as you let parents know up front that this is your policy, students tend to miss lessons a lot less often. As a Music major, you have a great opportunity to help pay your tuition by teaching private music lessons. So find some students and get started! Brian is owner and CEO of yourmusiclessons.com, an online marketplace that connects music teachers to students throughout the United States. Brian graduated from Chapman University in Orange, California, as a Piano Performance major. 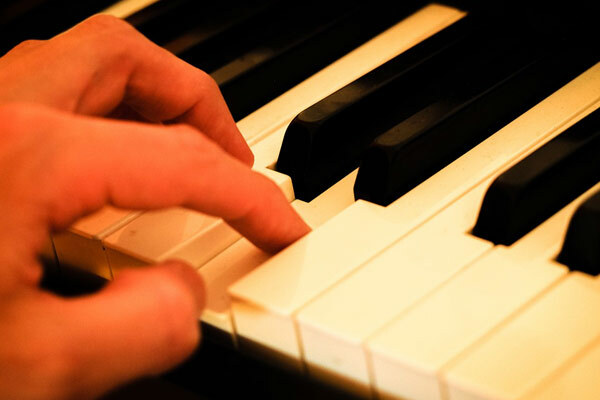 In addition to running yourmusiclessons.com, Brian teaches private piano lessons throughout Orange County, California.